New age is a term that became current in the 1980’s to describe a nebulous, pseudo-religious set of beliefs that grew out of the Western counterculture of the 1960’s. The term alludes to the belief at that time that a new spiritual age, the so-called ‘Age of Aquarius,’ was about to dawn. 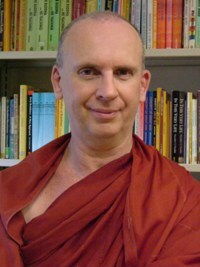 Despite the fact that some Buddhist concepts and practises have been incorporated into new age spirituality, Buddhism and the new age movement have little in common. A Buddhist can see serious problems with this movement. Its belief that a ‘new age’ was about to begin has been shown to be wrong. Tragically, there has been as much conflict, greed, hatred, hypocrisy and despair since this supposed new beginning as there was before it. New age is highly commercial and in this sense closely resembles the ‘old age’ that it claims to have superseded. A brief survey of new age fairs, shops, magazines and catalogues shows that everything on offer has a price to it, often an exorbitant one. New age has no core concepts or guiding ideals but is fad-driven. Certain beliefs or practises come into vogue (pyramids, crystals, Celtic fairies, shaman drumming, etc.) and are soon replaced by others. New age has a distinct narcissistic and ‘crank’ quality to it. People involved in new age often develop a preoccupation with their health and with diets, additives, quack medicines and treatments, etc. Perhaps more seriously, new age is also naively optimistic. It offers no solutions to the very real and serious problem of human suffering other than platitudes, wishful thinking and vague generalizations. A Buddhist might say that the new age spirituality does little harm but little good either. One positive thing that can be said about the new age movement is this - it shows that despite the widespread rejection of conventional religion in the West, people continue to have a spiritual yearning. 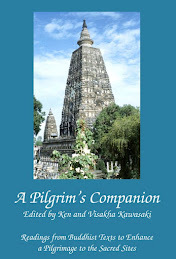 Hopefully, more people will look to the coherent, realistic and time-tested teachings of the Buddha to fulfil this need. It's getting closer! Starting on July 1st and continuing for a week I intend to discuss the issue of meat eating and the Dhamma from every possible angle. One can hardly miss the irony in this lamb-to-the-slaughter image. Is the bonneted child trying to hold the poor animal back, delay its certain fate...or perhaps giving it a friendly shove-along? Good post. Some of the recent New Age fads include: The Secret and Eckhart Tolle. Whenever I do any critique of these New Age fads at some other Buddhist forums, there is always some extreme pc (politically correct) person to say how we should not judge them and / or how great these new agers are. 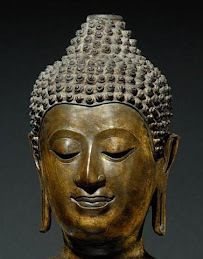 Like Bhante, I see some good in them, but also a lot of bad things, like the exhorbitant prices and just the general plagiarism of Buddha and other philosophies (without giving credit when credit is due). I think I brought up to your attention on mindhacking some time back. I'm not sure is it exactly consider part of the 'new age' movement, however, it has its interesting theories on its mechanism. 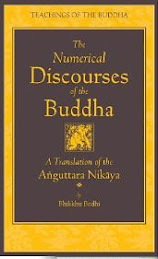 However, as much as the Buddha's teachings can be practical and applicable in our daily approaches, very much often we see how unpractical and nonsensical that many other buddhists had turned out to be. I feel that this 'New Age' movement to be potentially very dangerous. A lie is most potent when it's intertwined with the Truth. 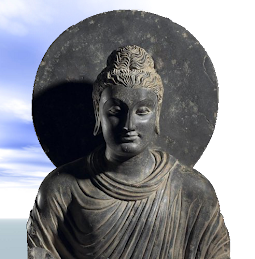 From what I understand, some of these New Age even claims that the next Buddha, 'Maitreya' is here at our world now. Such audacious claims.